Lauren DiCioccio’s embroidered newspapers « Adafruit Industries – Makers, hackers, artists, designers and engineers! As news-gathering departs from paper form and is conveyed instead through the television and internet, the newspaper becomes a nostaligic and old-fashioned object. 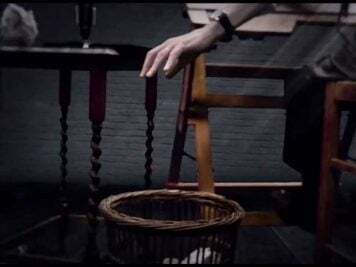 I describe the beauty of the ritual experience of newspaper-reading by describing the paper as a tactile and fragile object in the language of craft. 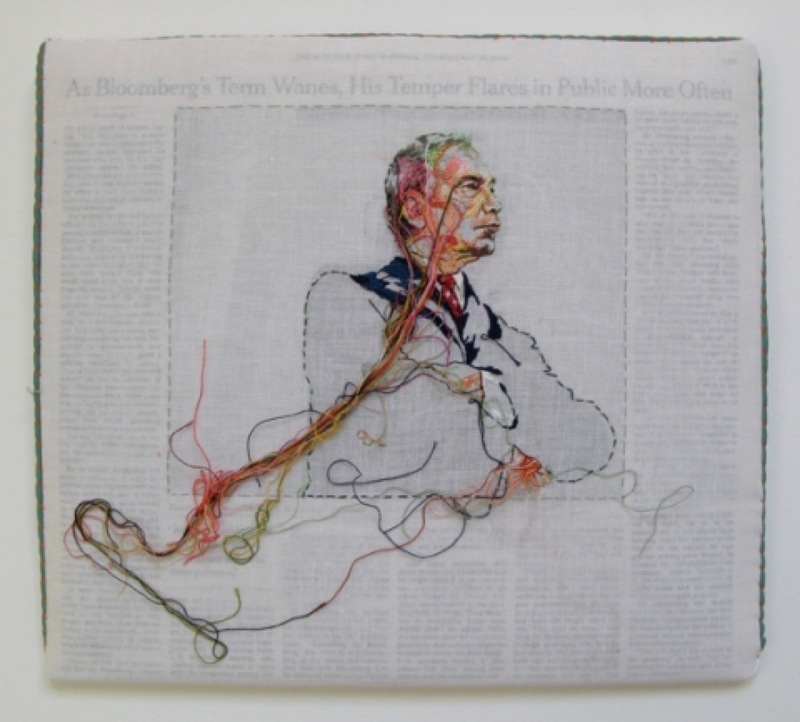 The pieces in this series are entire issues of The New York Times encased in hand-embroidered cotton muslin. I select a photograph from the paper; usually a strong image suggestive of power, leadership or communication; and embroider the image onto the fabric, applying colors in a painterly way and layering line and thread. Portions of the image remain as outline and threads tangle and unravel from the fabric.